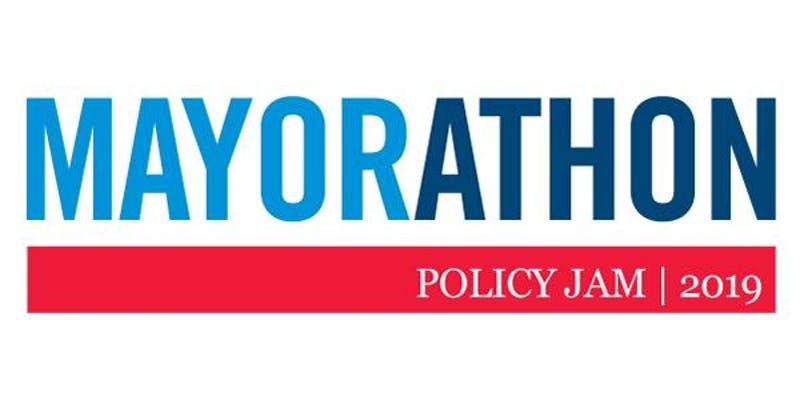 On Jan. 24, a partnership of area nonprofits announced “Mayorathon 2019: Policy Jam” – a public event on Thursday, Feb. 28, to review Mayor Levar Stoney’s first two years in office and recommend priorities for the rest of his term. The event will feature an in-depth, entertaining and informal discussion with Mayor Stoney on policy issues, as well as special appearances from the Richmond Comedy Coalition and other guests. RVA Rapid Transit, the Storefront for Community Design, the Richmond Food Justice Alliance, the YWCA of Richmond and the James River Association are among a dozen-plus nonprofit organizations partnered with host Richmond magazine to present Mayorathon 2019. The nonprofits have designed the evening’s discussion around pressing topics – from neighborhoods and safety to education, transportation, and the urban environment. To provide a framework for the evening’s conversation, the participating organizations will share their reviews of the mayor’s work to date as well as short lists of suggested steps for the mayor and the City Council to pursue through 2020. Stoney will reflect on his accomplishments as Richmond’s mayor, and the audience at the ICA will weigh in on what his administration’s priorities could be for the remainder of his term. The first Mayorathon event was one of the largest candidates forums of the 2016 election cycle, with 1,000 people in attendance and 1,000 viewing a digital simulcast. “The 2019 event is about creating ongoing opportunities for Richmonders to touch and feel city politics in a way that’s accessible, detailed and memorable,” said Winiecki, who co-moderated the 2016 event. Mayorathon 2019 will be held Thursday, Feb. 28, from 6:30 to 8 p.m. at the Institute for Contemporary Art with a reception to follow in the museum’s cafe. For more information and to RSVP, visit mayorathon2019.eventbrite.com. Seating is limited and first-come, first-served, but an overflow space on site also will be provided. Doors will open at 5:45 p.m. Seating is limited, but an overflow space to view the event will be provided on site.